An absolutely gorgeous possum fur scarf that encircles you with warmth and fluffiness! These statement scarves are of tubular construction with robust possum fur pompoms which we stuff with offcuts of possum fur pieces. 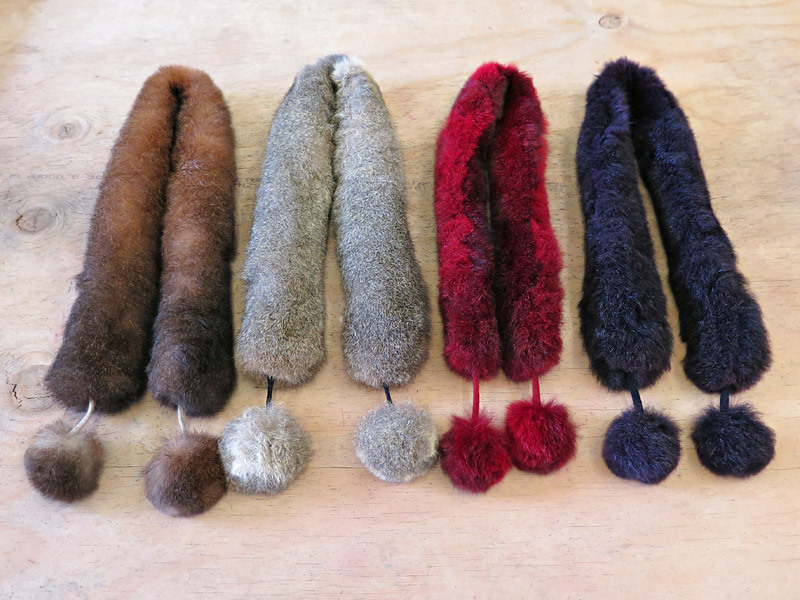 Then we attach these to our own specially knitted possum merino woollen piping. Knot at front or shoulders or tie the pompoms together at the base. Drop dead gorgeous and in a wonderful colour selection.